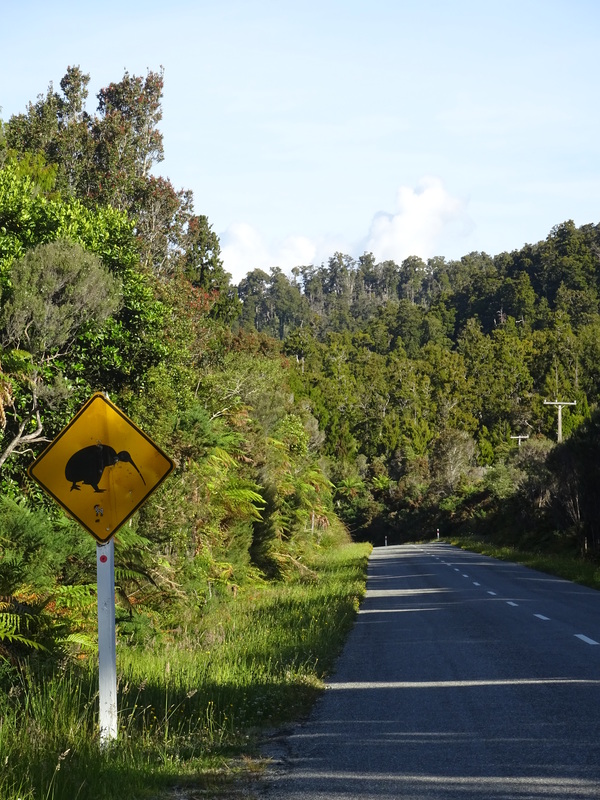 At 6am on the 29th of December 2014, Max and I drove off our ferry after it docked near Picton and continued South West down the South Island. 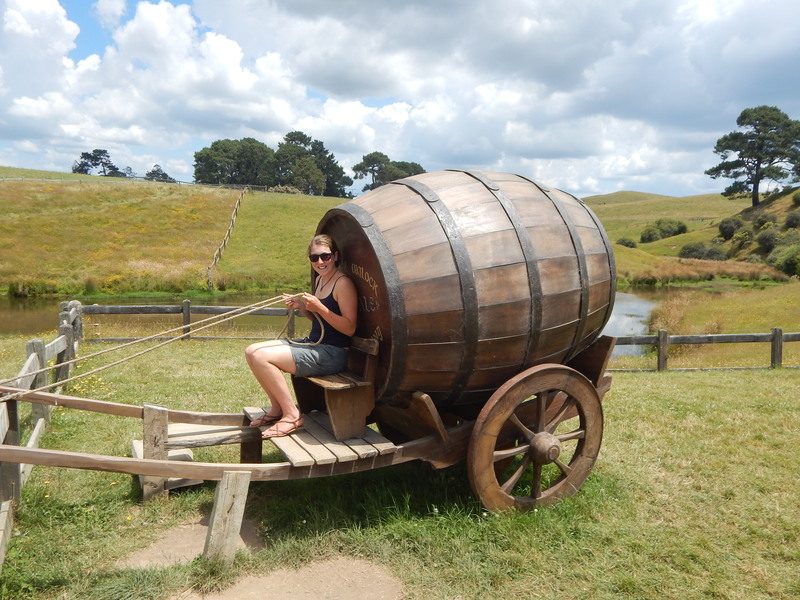 Before I’d left Singapore I had planned out our days in the North Island to make the most of our limited time but I hadn’t given as much consideration to the South. 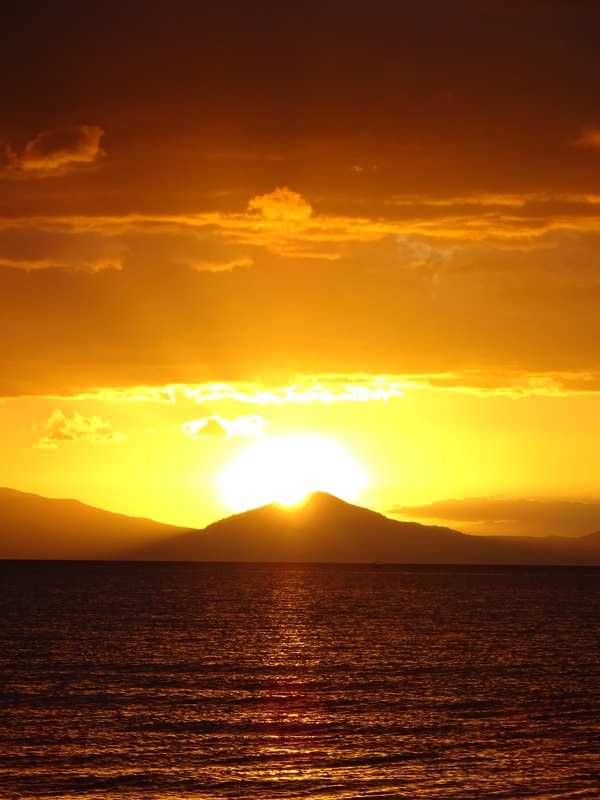 The return ferry was booked for the 7th of January so we already knew that we would not have the time to see all that we wanted to and it would be a matter of keeping our days full whilst also allowing ourselves to be on holiday and relax. And I think we managed to do that perfectly! 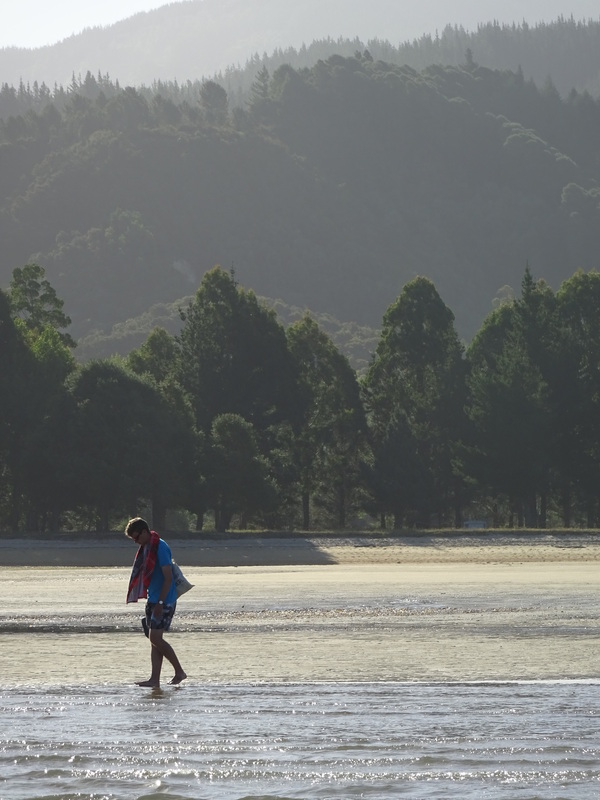 We drove down to Murchison, 3 hours from Picton, and hunted down the campsite that we had been recommended. However, rather than stop and pitch tent then, we drove on further to one of the many section of white water in the area to check it out. 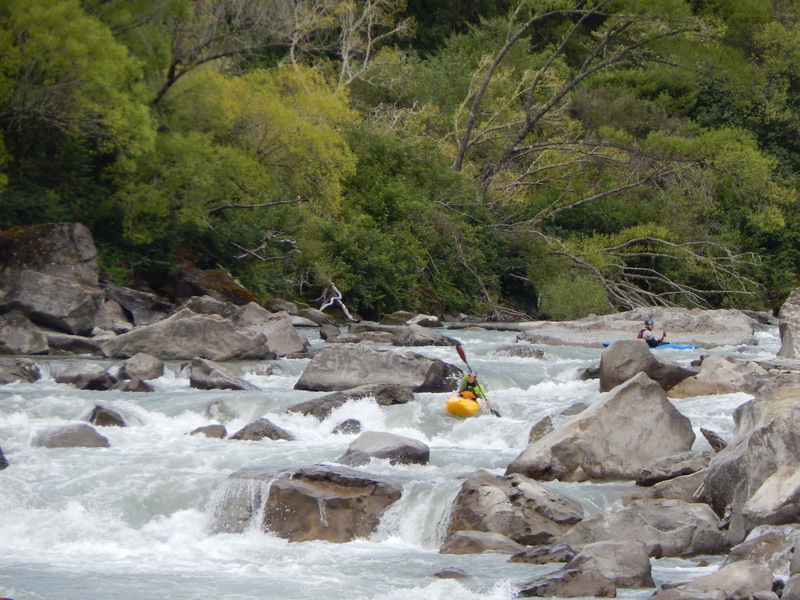 We stopped at the put-in for the Lower Matakitaki and, after reading the guidebook with some ‘umm’-ing and ‘ahh’-ing, I managed to persuade Max that the river was definitely within our ability and fine for us to paddle blind (without scouting to look) after only 4 hours of sleep on a ferry. 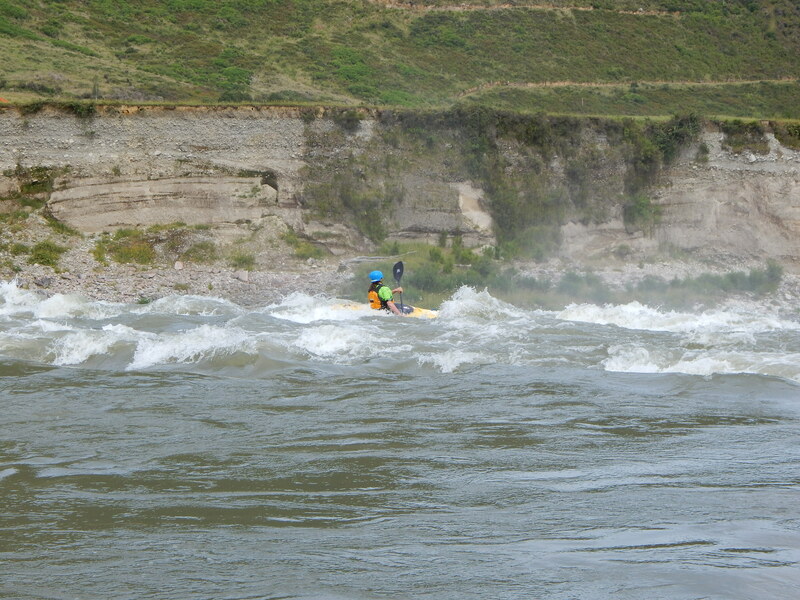 It so happened that I was right and we had great fun paddling the short Grade 3 section. It felt so great to be catching eddies again after so long at a desk in Singapore. After the river we drove back to the campsite to find that Auckland University Canoe Club (AUCC), from whom we had borrowed our boats, were already set up and planning their day. We pitched up beside them and joined in the fun. 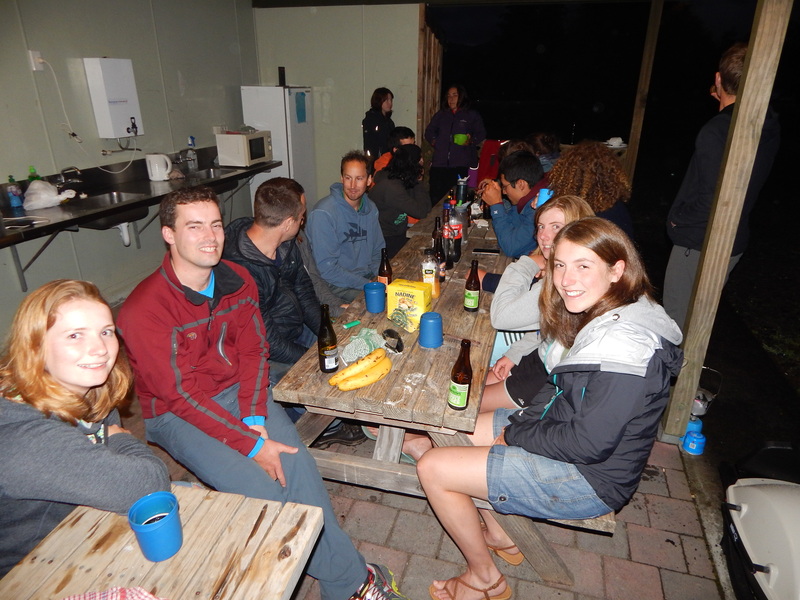 I was instantly reminded of joining Edinburgh University Canoe Club (EUCC) in the Alps the previous summer and happy to meet these new faces. 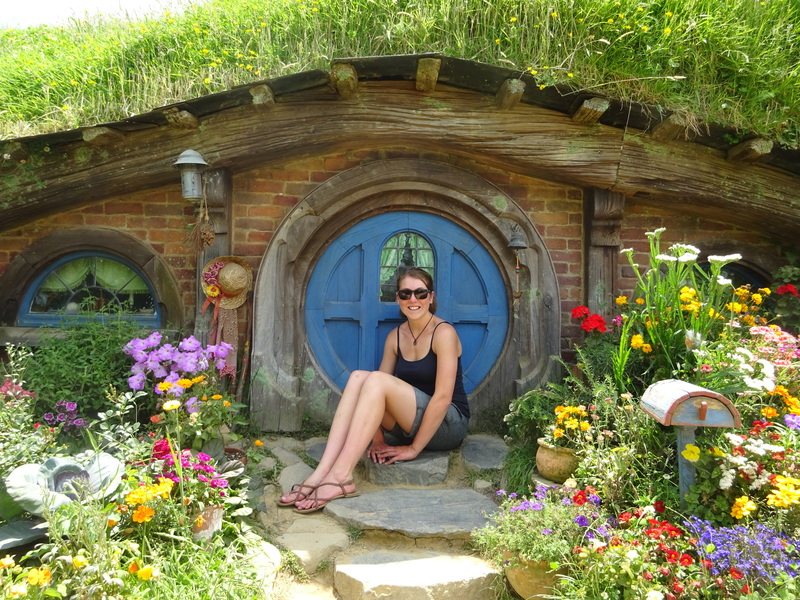 One familiar face was also there – Carey, the current President of AUCC had studied for a semester in Edinburgh and it was amazing to catch up with her, this time on her home turf. The next 4 days were a blur of Club banter, boating and good times, and I didn’t remember to take a single photo! 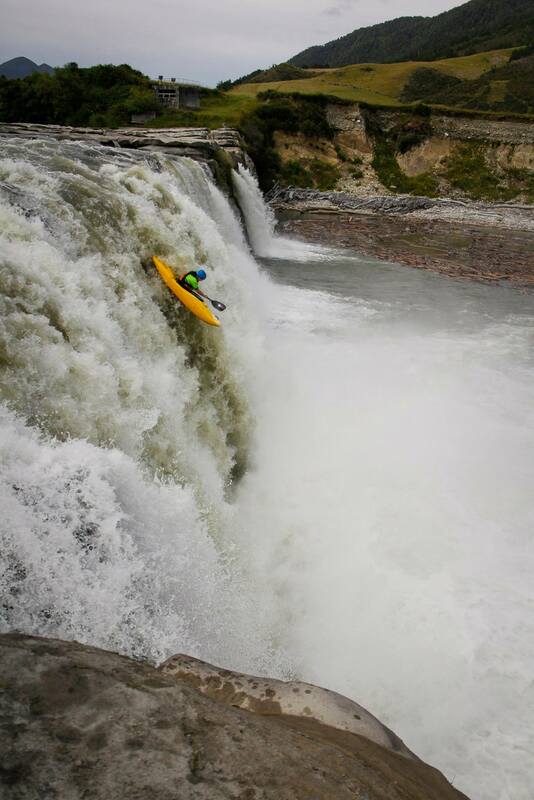 Max and I kayaked with AUCC each day, usually completely 2 or three runs a day. My favourite river was the Glen Roy, a rock-bed gorge section which happened to be the only Grade 4 of the whole trip. And my least favourite, Mangles, will remain my least favourite river for some time…possibly due to a certain terrifying swim involving a strainer (semi-submerged tree) that may have happened on a Grade 2 (almost flat) section whilst trying (and failing) to rescue a boat and resulted in losing a paddle – sorry Isaac! With booties aside we rang in the new year on our small campsite in a small town in the middle of nowhere on the other side of the world from home with our new found friends. 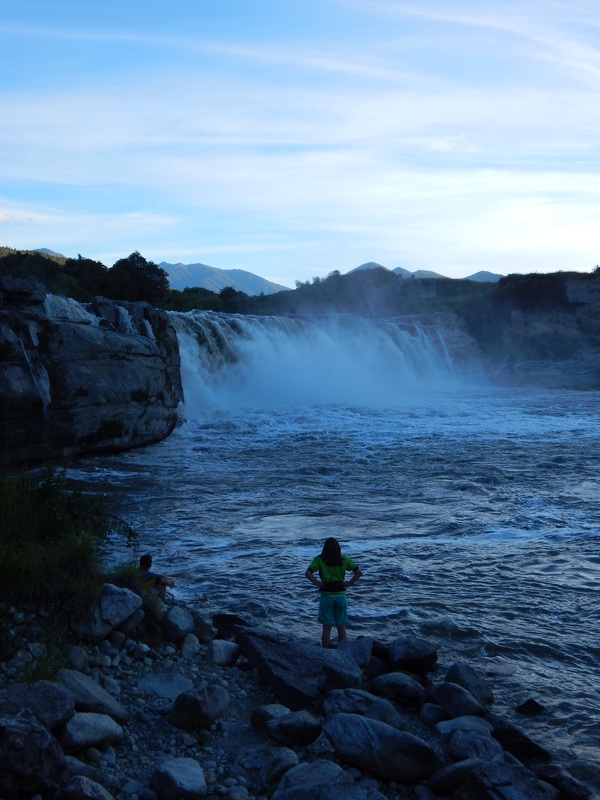 New Year’s Day was a chilled affair, and in the evening we drove to Maruia Falls to take a look. I intended to paddle it but it was pretty high, and I settled on coming back in the morning to tackle it. 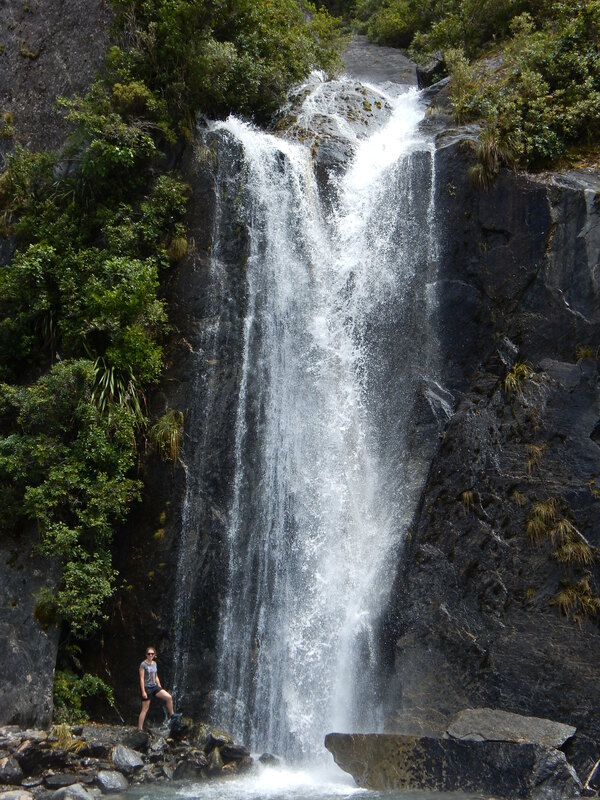 It turns out big waterfalls (11m) are not any smaller at the top when you’re about to go over them and the first time I lost my nerve, but my second run was much more successful. 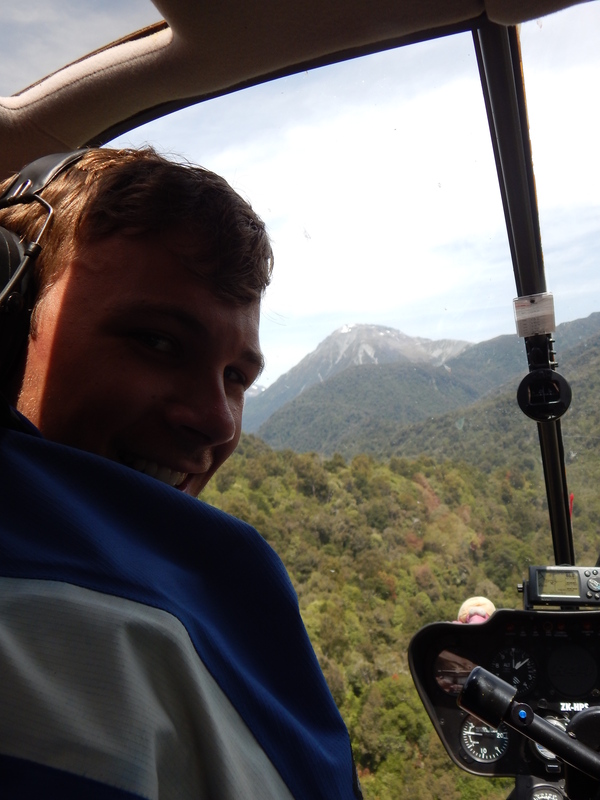 With that it was already time to say goodbye to AUCC and for Max and I continue South West towards Hokitika on the coast. At that point I hadn’t realised that I’d be seeing many of them again quite so soon afterwards. 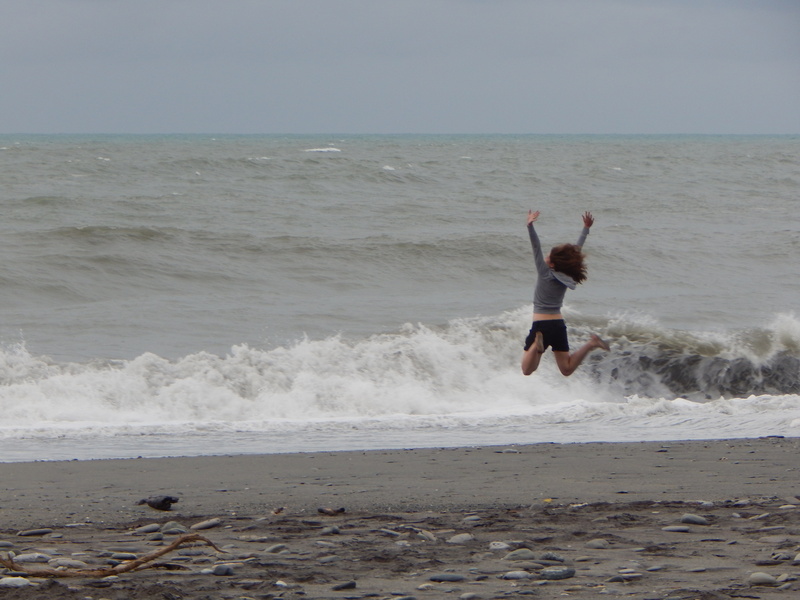 We spent the evening around Hokitika and camped nearby. 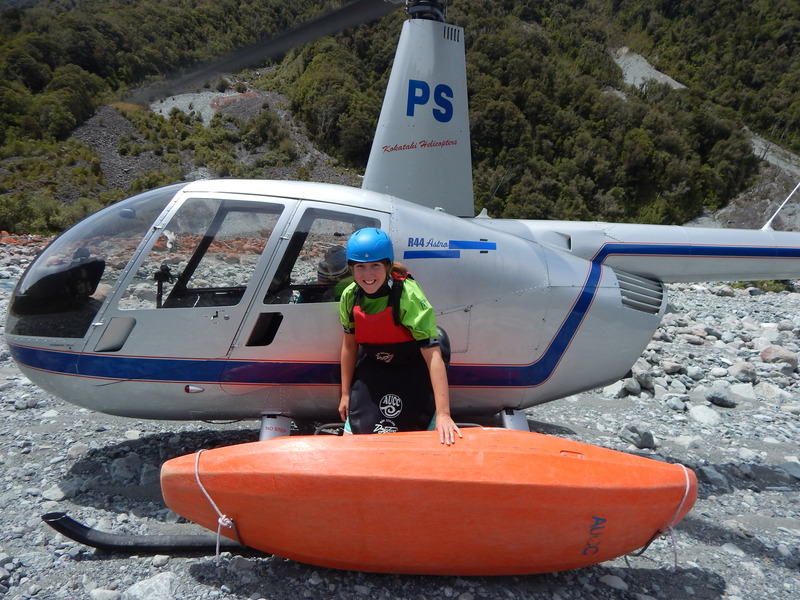 The next morning we failed to find someone to paddle with and instead went further south to check out the Franz Josef Glacier. We spent the whole day there and awaited a call from a friend, Mo, who was considering an epic multi-day kayaking trip on the Landsborough river. 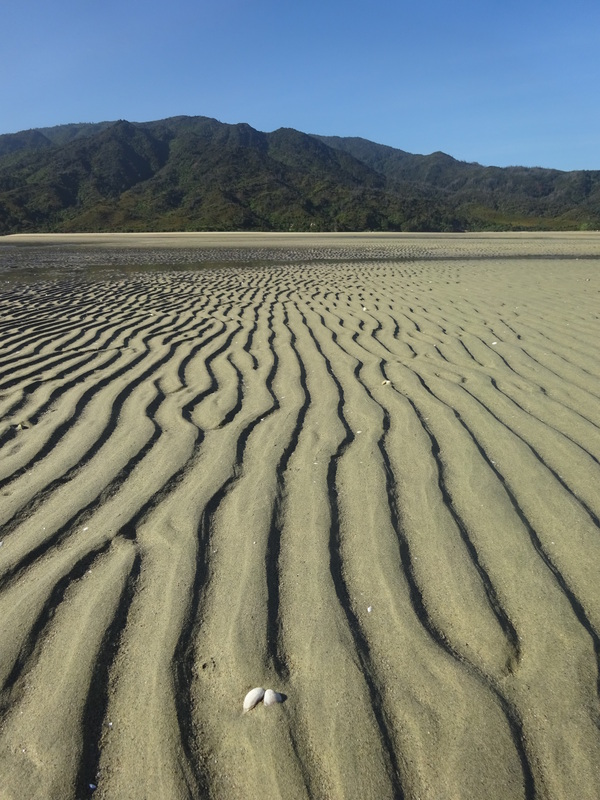 Sadly, we didn’t get the call until late in the evening and had already made the decision to head back north to Hokitika, hence, that was the furthest South in the world I have ever been. 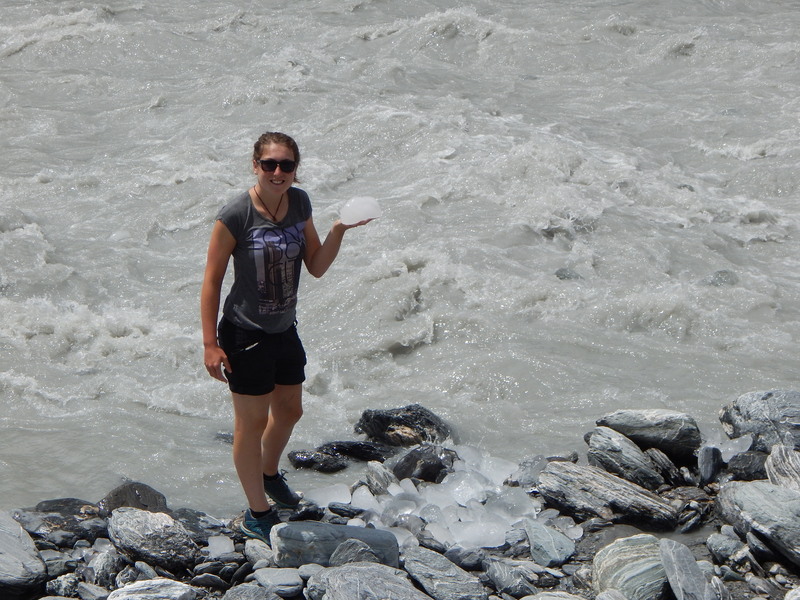 Max didn’t want to paddle the icy water…. The next day we woke to find Dan and Isabel from AUCC were on our campsite. 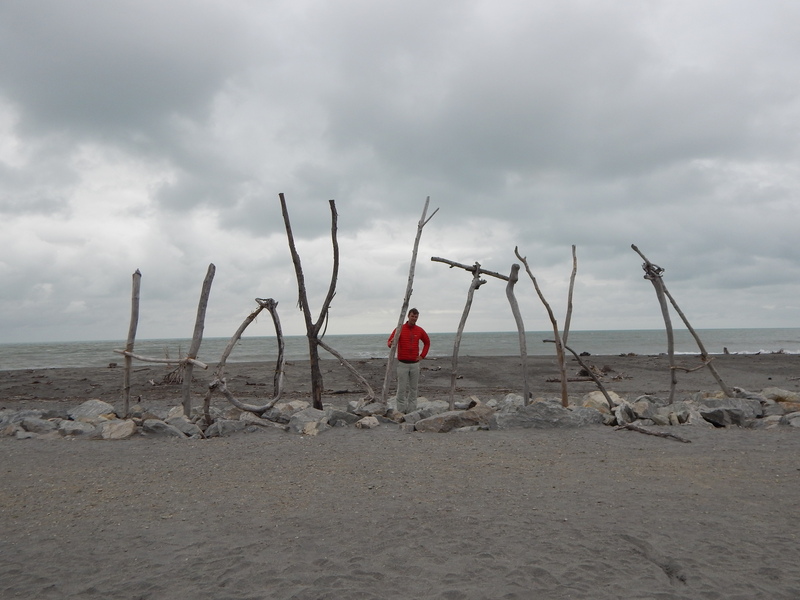 They too had driven to Hokitika and we were soon reunited with more AUCC members. 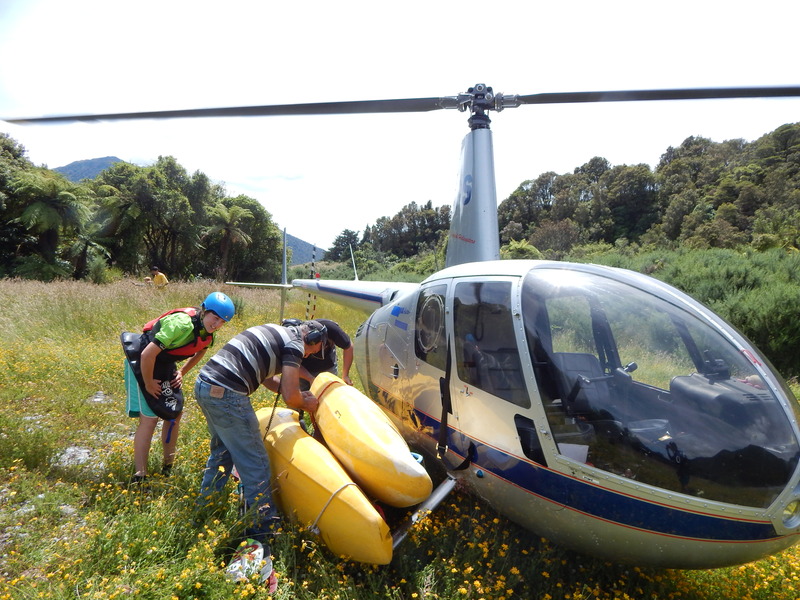 Without too much trouble I managed to persuade them all that they wanted to come kayaking with me on a heli-yaking trip! 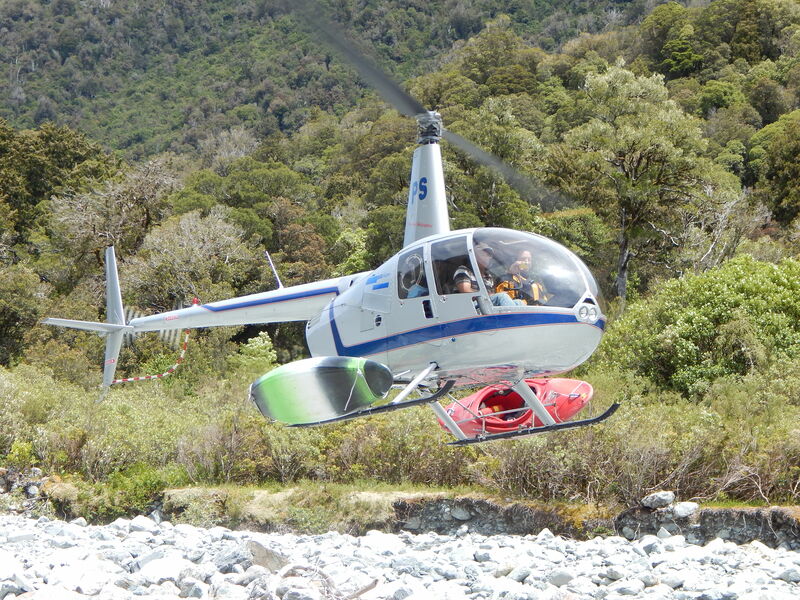 We called up the pilot and after hearing that the bay at our first choice of river had been washed away, preventing the pilot from landing, we made a new plan and settled for the slightly easier Taipo. Dan, Isabel, Kaz, James, Max and I got kitted up and drove to the river take-out of the Taipo. 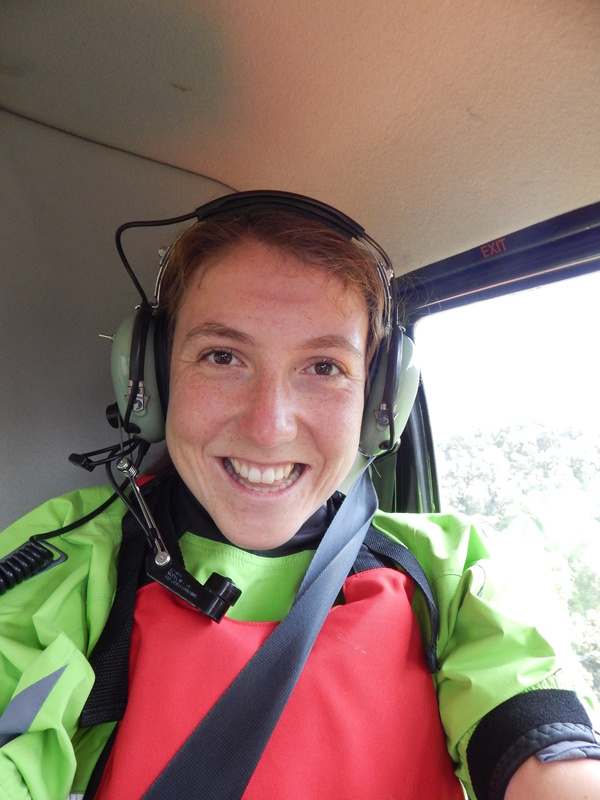 I had never been in a helicopter before and was incredibly excited as I helped to tie my boat onto the skids. 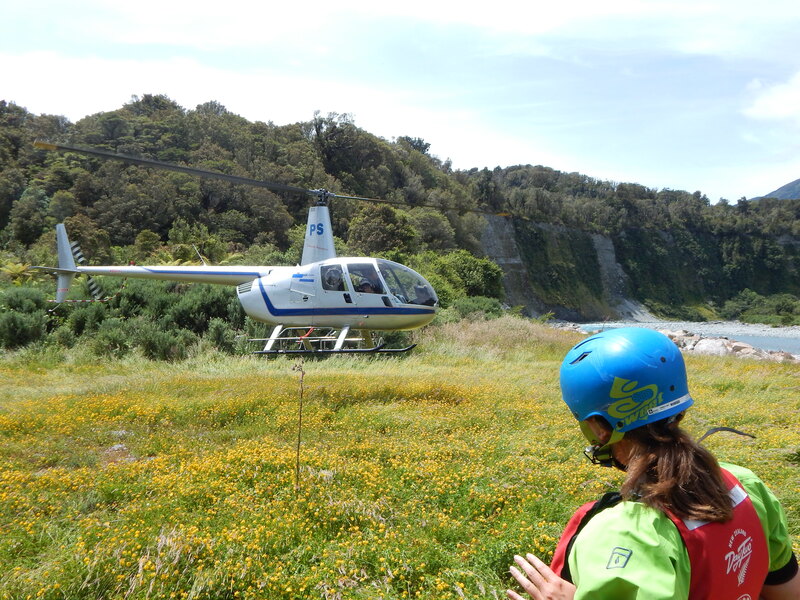 Max and I went up first and were dropped at the put in, and then the chopper did two more shuttles to pick up the others and remaining boats. 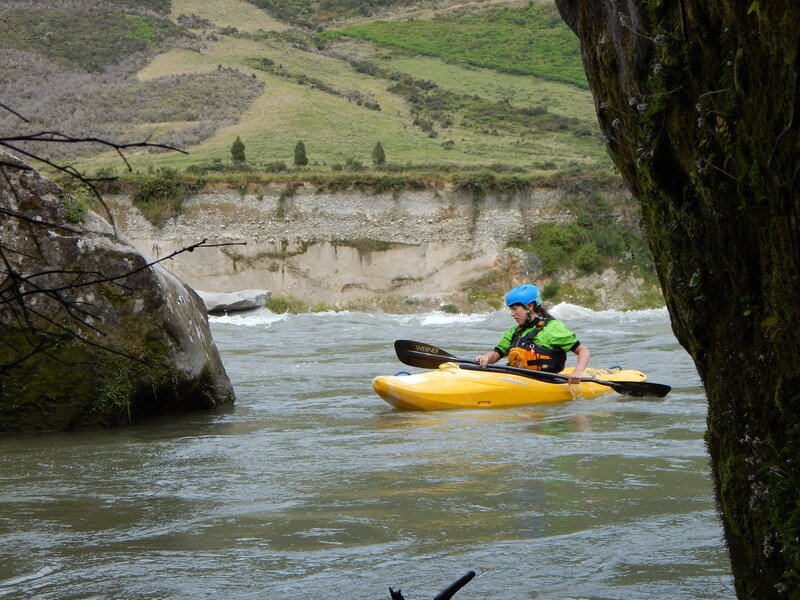 It was a beautiful day on the river, with the occasional bouncy Grade 3+ rapid to entertain us. 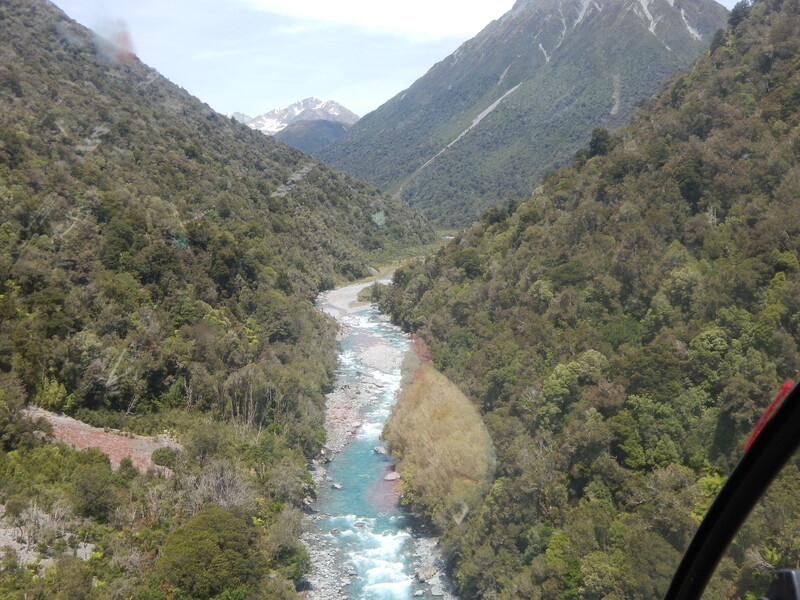 Mostly I was just impressed with the remoteness and the fantastic azure blue of the river. At the take out we said our farewells (again) and Max and I headed in a new direction, North along the coast. He stole the front seat! 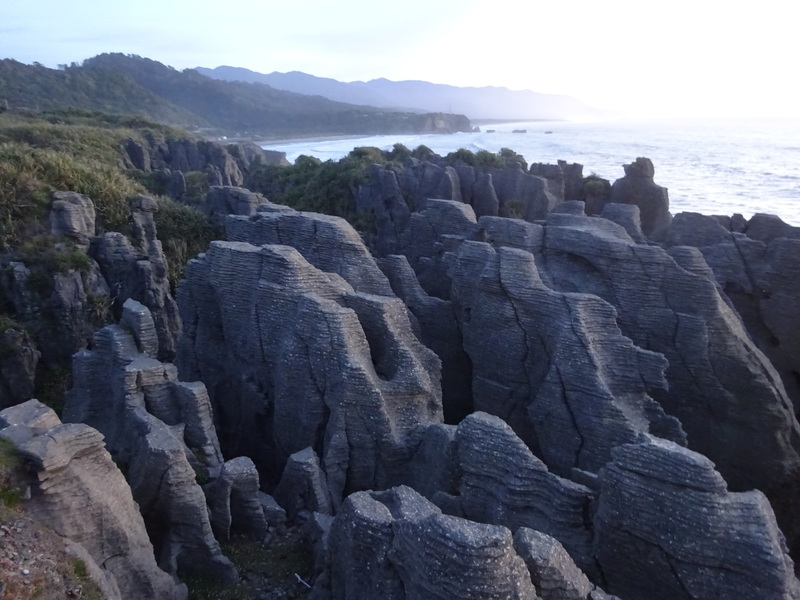 We stopped at Putakaiki to see the pancake rocks but we missed the high-tide which surges water through the rocks and out the blow-holes. 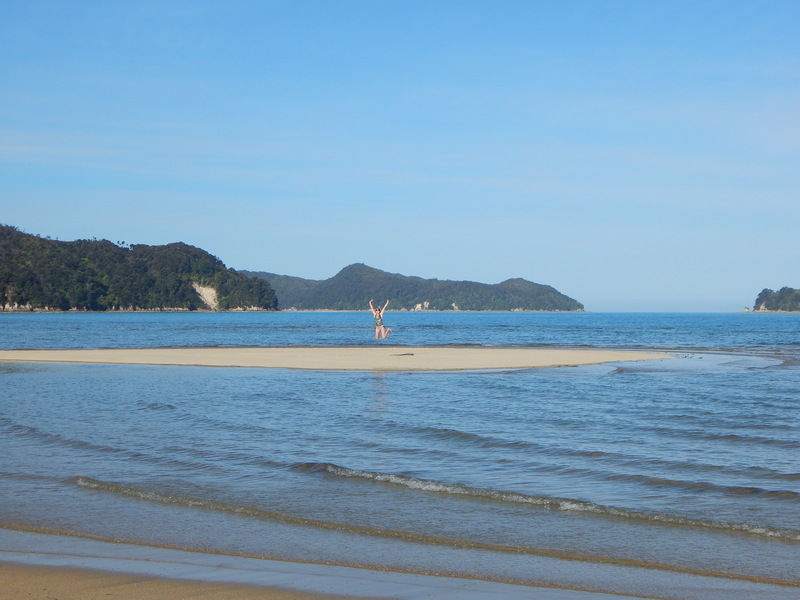 It was still impressive but time was passing and we wanted to make it all the way to Abel Tasman the following day. 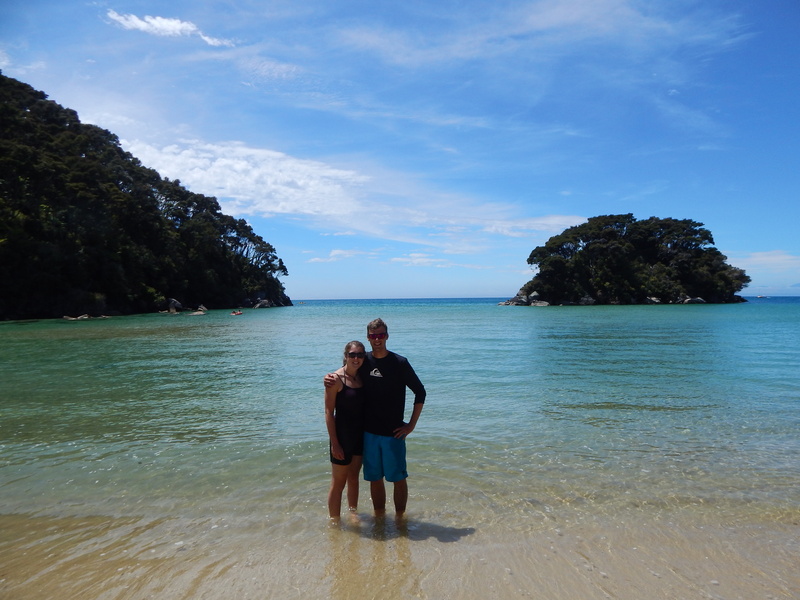 Abel Tasman National Park was recommended to me by each person I had spoken to about travelling in New Zealand and so I had high expectations as we drove over the windy roads towards the coast – it didn’t disappoint! 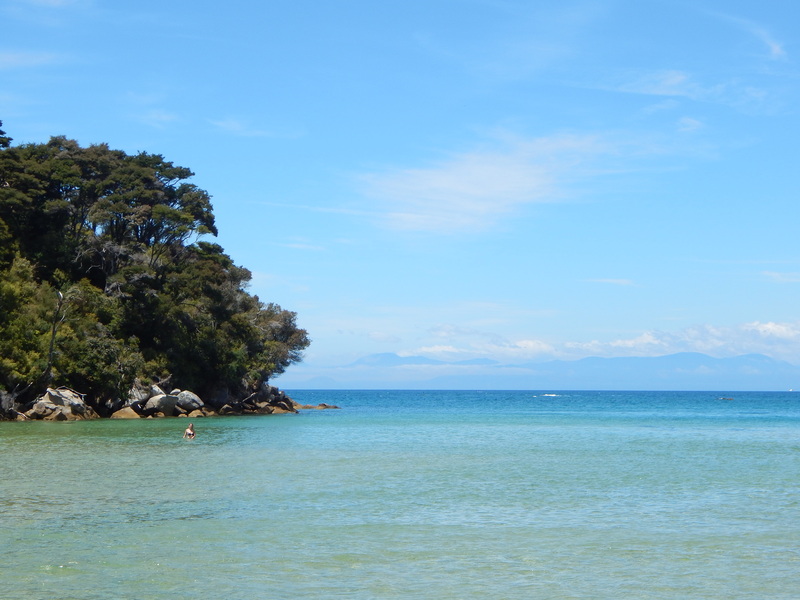 Wall-to-wall blue skies and a shallow and surprisingly warm sea to match made the park very welcoming indeed. We pitched our tent on the last available spot on the campsite and enjoyed the afternoon swimming in the sea and eating good food (or a Subway if you’re Max). 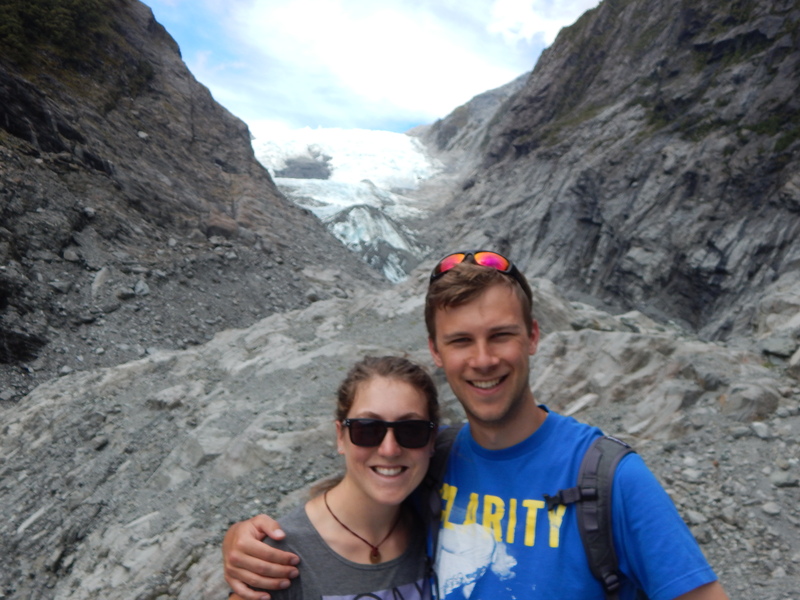 However, it was our second day in the National Park which rivalled the Tongariro Crossing, completed 2 weeks earlier (Part 1), for best day in New Zealand. 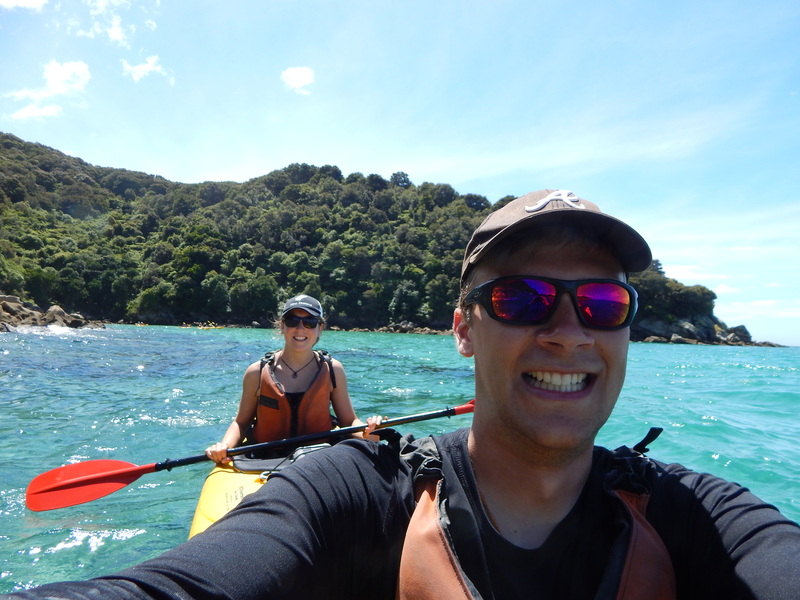 Abel Tasman National Park is spread along the coast and the best way to see as much of it was possible is to either spend a number of days hiking up the coast (1 of the 9 Great Walks in NZ), or to explore by sea kayak. 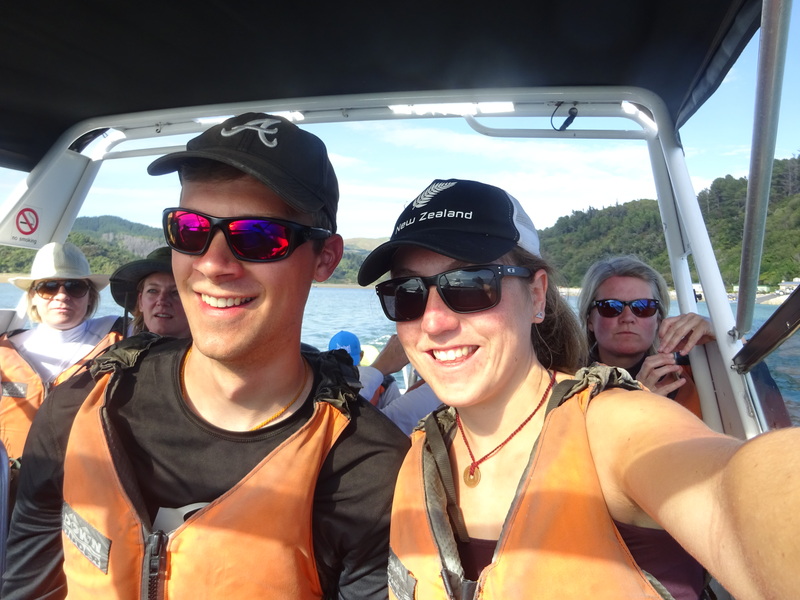 And so it was that two reasonably experienced whitewater kayakers paid money to be tourists for the day and paddle in a duo kayak (two-person) for the day. 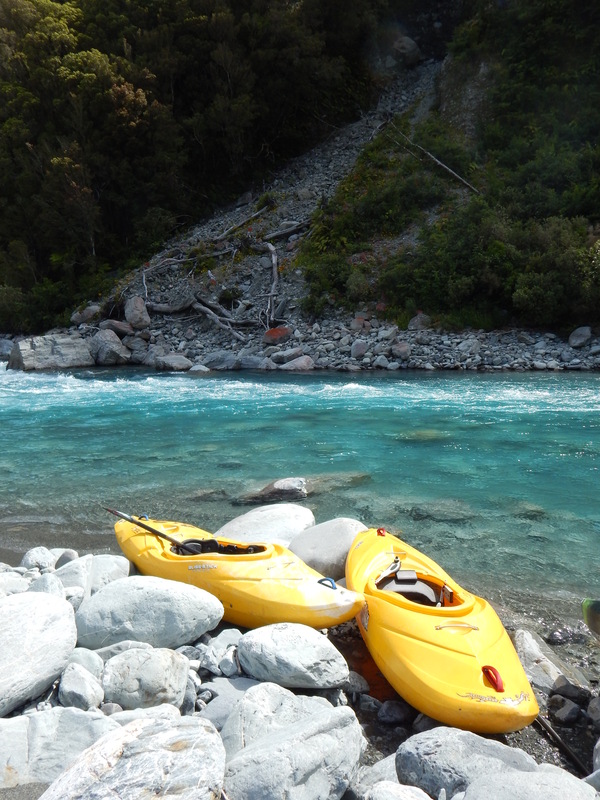 We had contemplated using our own kayaks, but whilst they are great for rivers and creeking, they are far too slow on the open sea and we would be very limited in what we could see on the one day available to us. Around 8.30am we had our safety briefing and were fortunate enough to have a guide who had done whitewater kayaking himself and was happy for us to take care of ourselves. 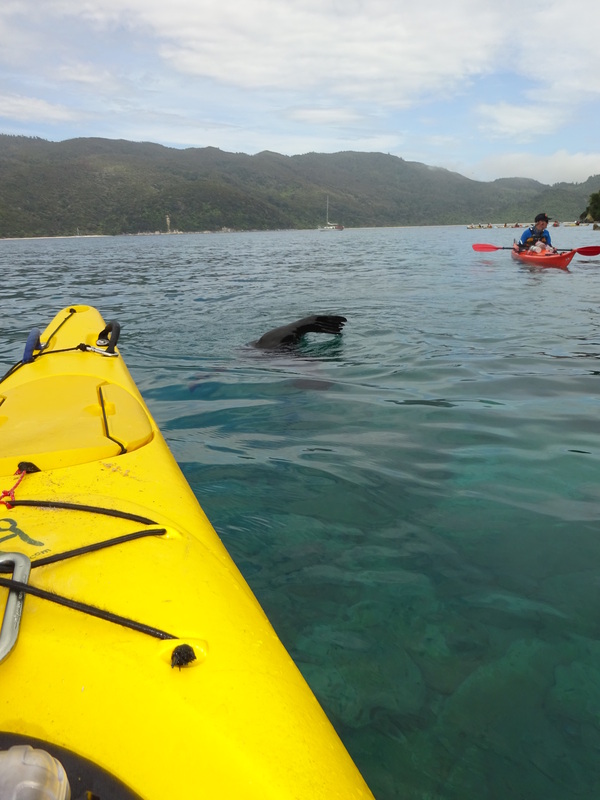 The Water Taxi ferried us up the coast to our starting point where the kayaks were waiting and soon we set of, Max in the back and myself in the front. Duos are said to be the cause of many break-ups and divorces as two strong-headed individuals may have different ideas about where they want to go and how quickly they want to get there, plus the person at the back can control the optional rudder which foot-pedals, giving more control. Max and I managed fine, though admittedly I was very happy when we swapped positions half-way through and I got to steer! 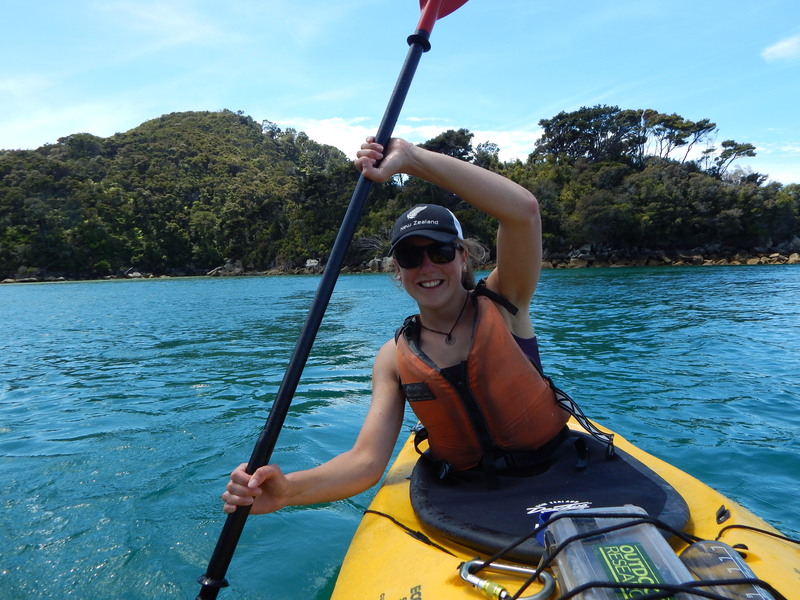 We were blessed with good weather and paddled out to Tonga island (not the country!) 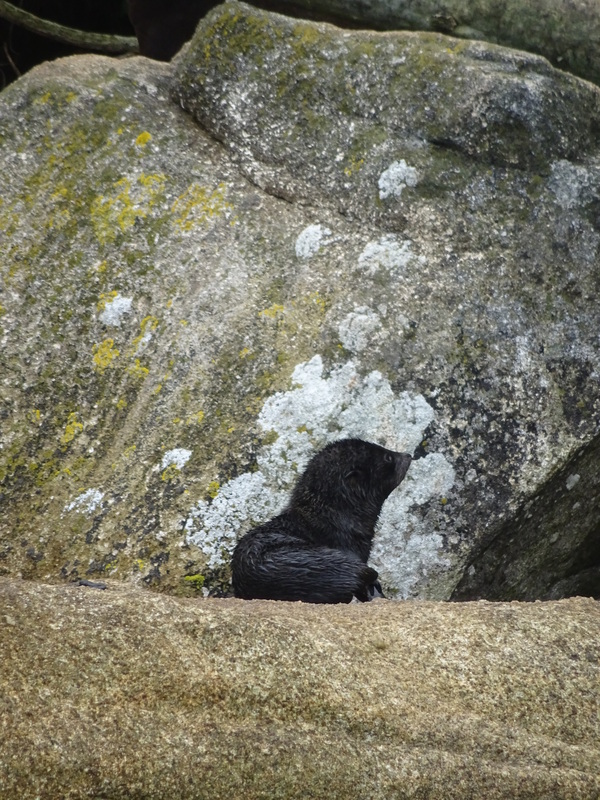 and saw many seals, including some 1 and 2 week old pups! 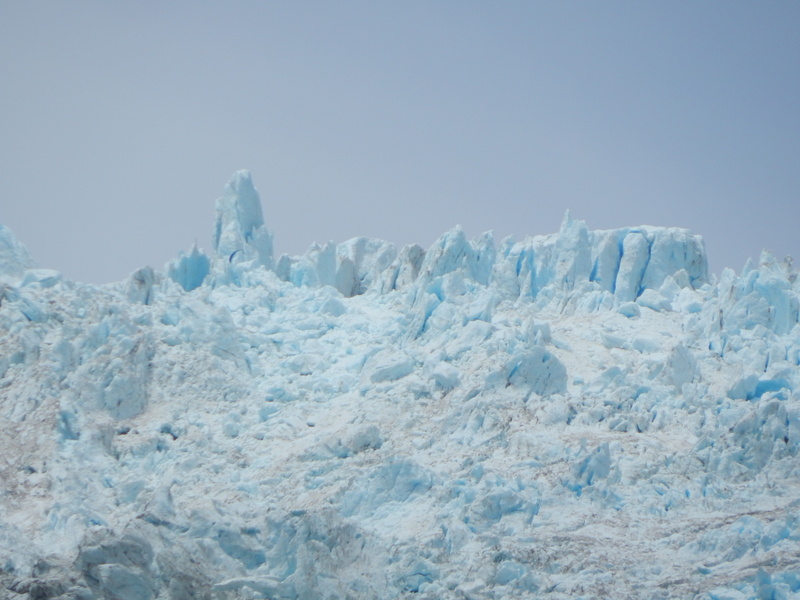 It was pretty incredible as we were very close to them. 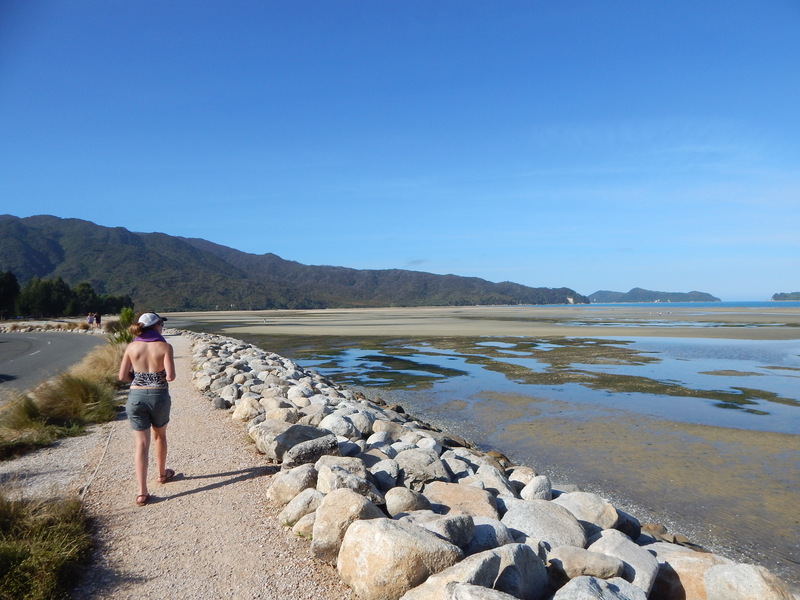 After a couple of hours we stopped for a delicious lunch at the unfortunately named inlet, Mosquito Bay, and there we had a little break and a swim before continuing with the second leg. Before I knew it, it was 4 pm and we were approaching the final bay where the Water Taxi picked us up and took us back to the campsite. Satisfied with our day we started the drive back towards Picton for our ferry. 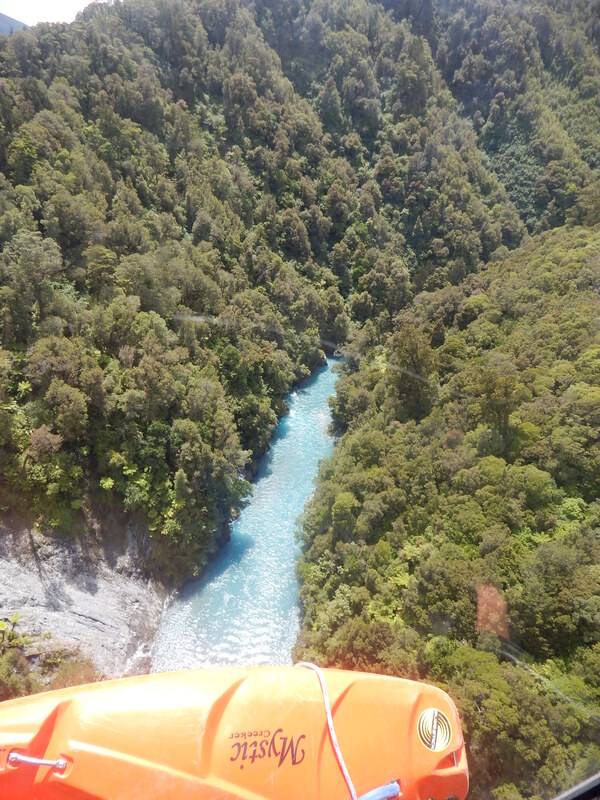 I stopped the car by Pelorus bridge as I was aware that my dad had visited that spot when he was in New Zealand several year before, and even went for a sneaky swim, though the mosquitoes did their best to discourage me. On the ferry back to the North Island, we made the plans for our final couple of days. 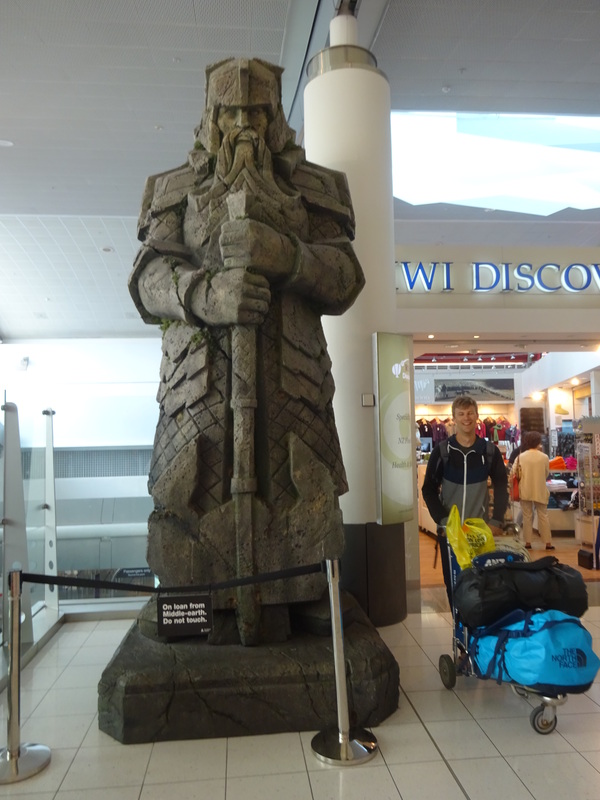 We had a lot of ground to cover to get back to Auckland for our departing flights and so had to rule out the Coromandel Peninsula about which I’d heard many positive things. 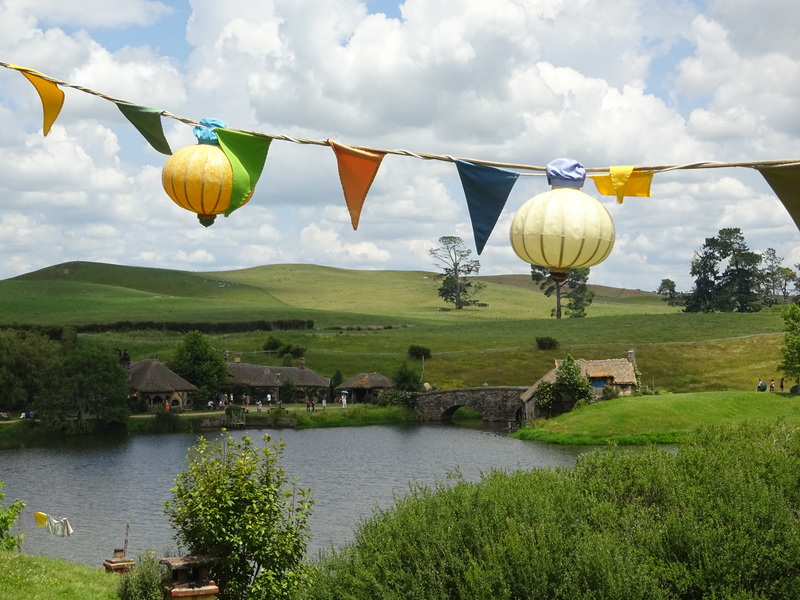 However, we did have time for one final tourist indulgence: Yes, you guessed it, we went to visit Hobbiton, the film set from The Lord of the Rings and Hobbit movies. 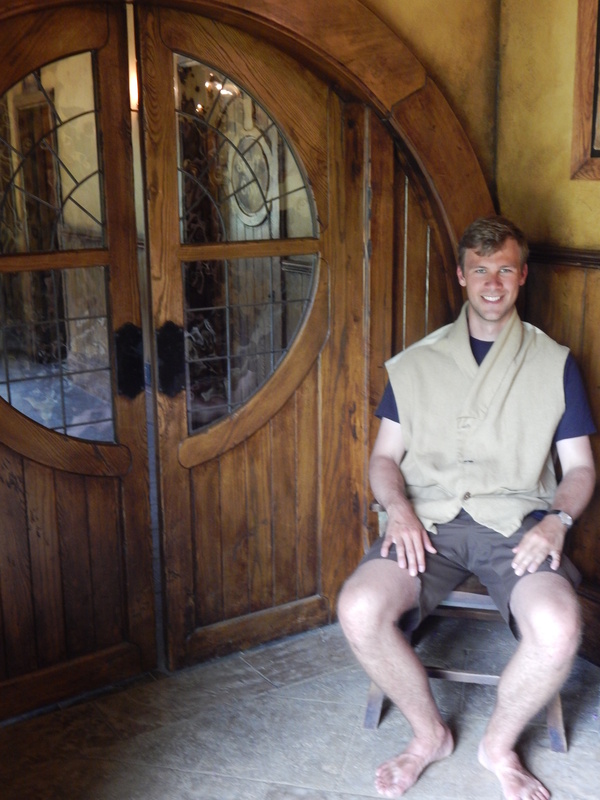 As a big fan of the books, I loved the experience and managed to overlook the large crowds there. 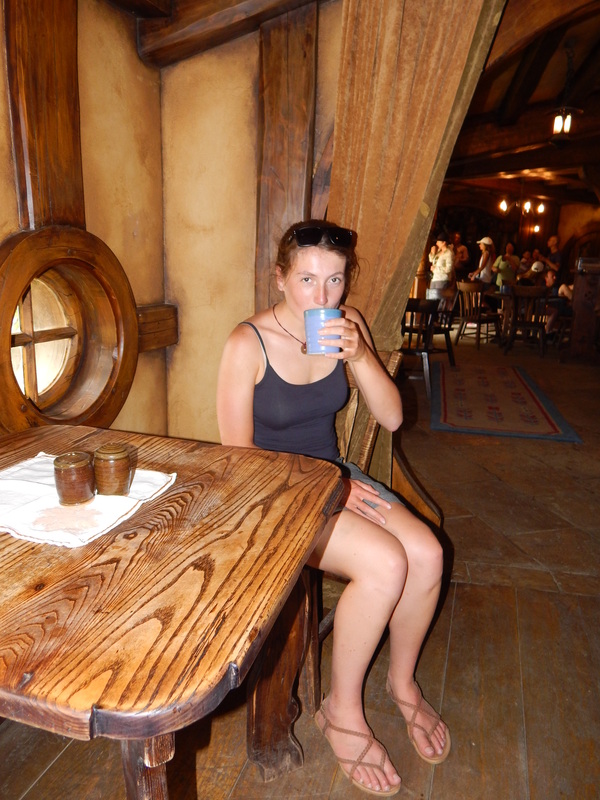 We even had a drink in the Green Dragon! 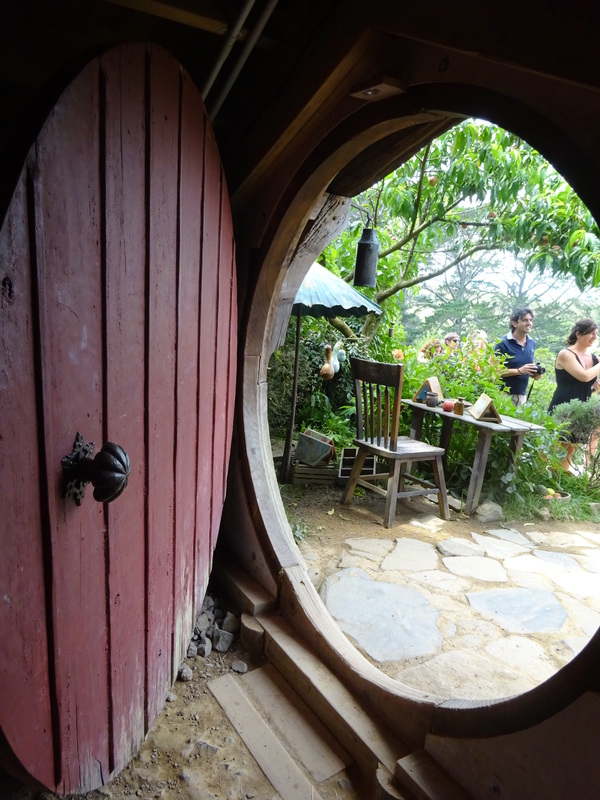 Some hobbit holes are very small indeed! The final day involved splashing-out on a hotel room and splashing even more in the pool. 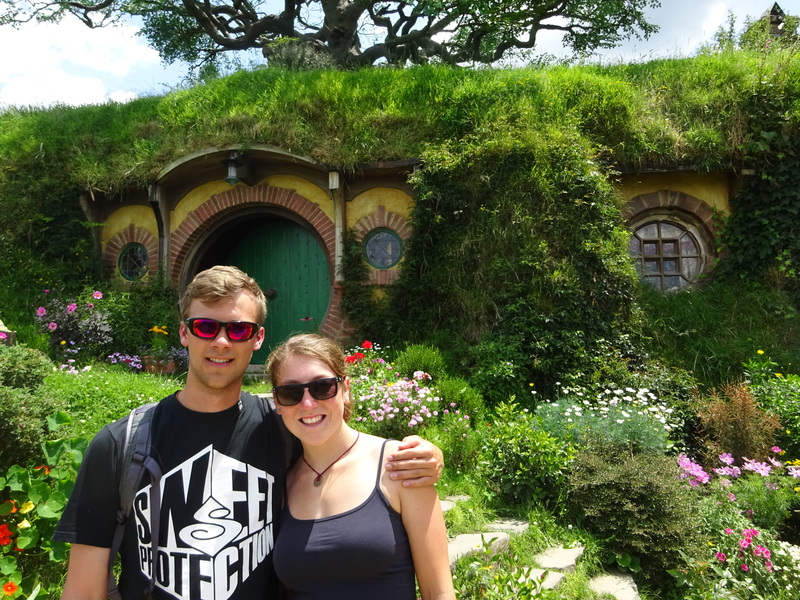 We visited Auckland and ate some good Mexican food and some pizza – treats that are hard to come by in Singapore. Max flew back to Switzerland in the morning of Saturday 10th of January and I flew back to Singapore later that same day. 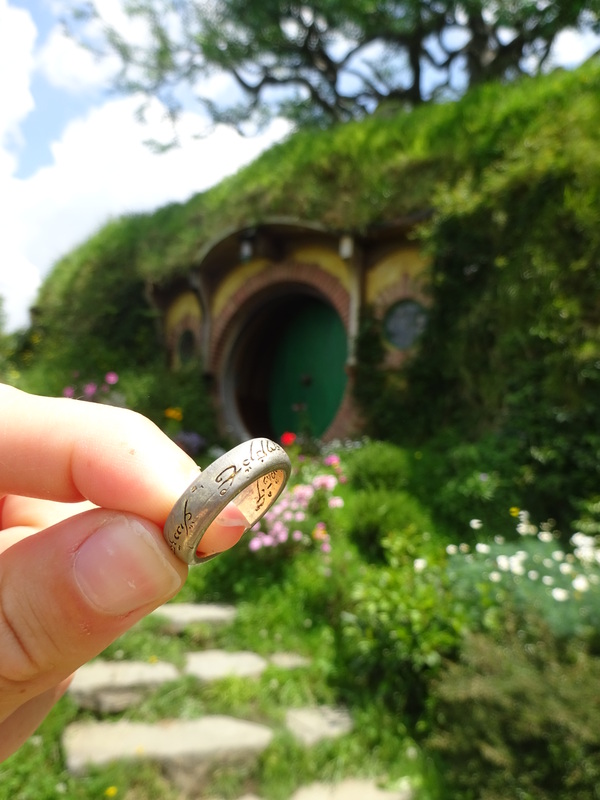 And here I sit, 3 weeks later, reminiscing about such an amazing trip. 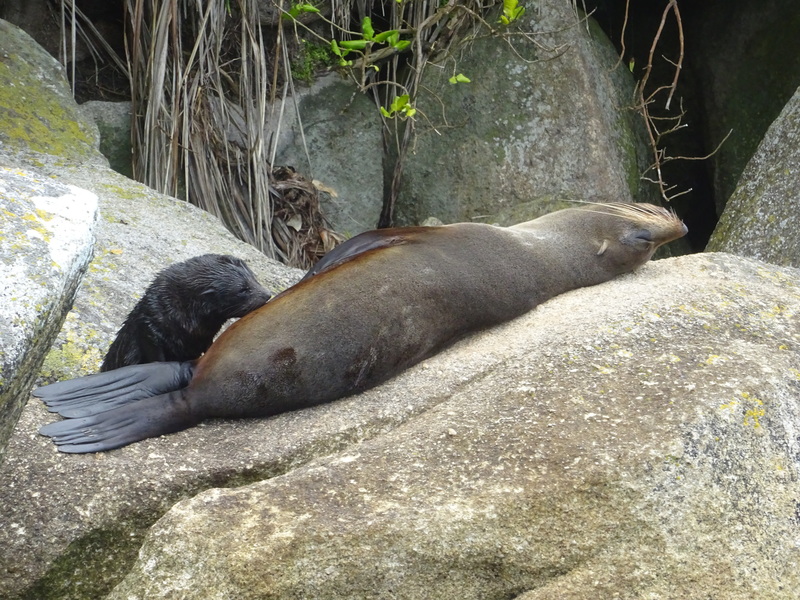 I hope I’ll go back one day and explore Milford Sound, Christchurch, the Coromandel, and many of the other places that were, out of necessity, omitted from the itinary. In the meantime, there are many more places in South East Asia that I’ve yet to visit and it’s time to start planning the next adventure!